Do you remember those Hair Club for Men commercials from the 80s? The ones that end with: “I’m not just the president of Hair Club for Men, I’m also a client.” Well, I’m not just a Scout for the Los Angeles Times, I’m also a Scout Report reader. A powerful testimonial and roaring endorsement all at once, right? After reading Louise’s Scout Report for Happy Tasty, I immediately made a date with The Astronomer and Mike, our friend and constant Chinese food companion, to check it out. 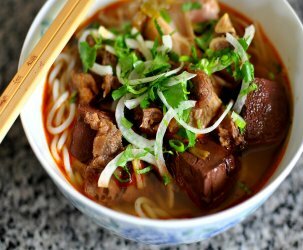 Wuhan cuisine, which is influenced by the spicy traditions of neighboring Sichuan and Hunan, is a region we’ve yet to experience on our San Gabriel Valley explorations. 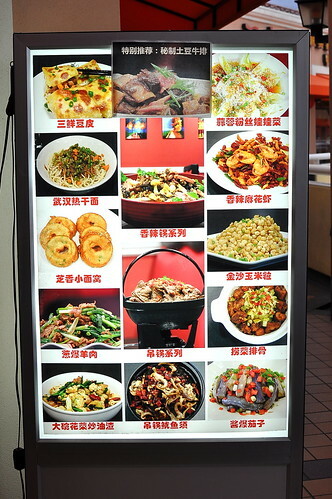 I was most excited to try the quintessential Wuhan-style dry hot pot. 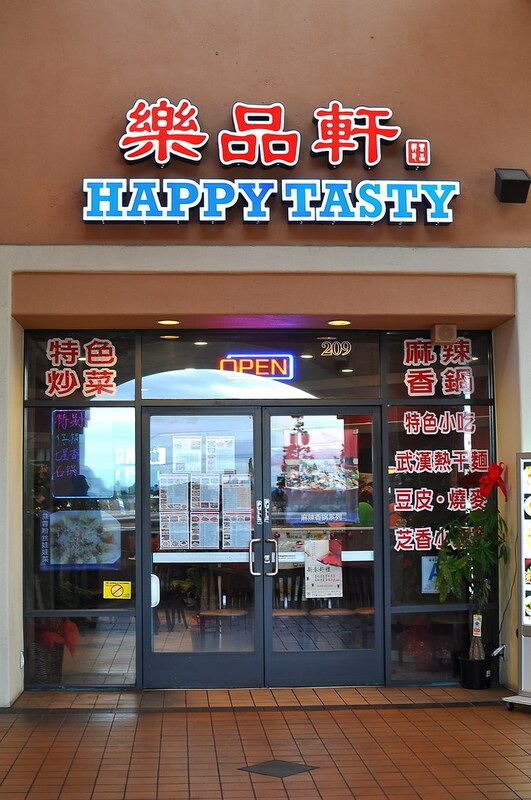 Happy Tasty refers to it as a “Spicy Hot Pot” on their menu. Every pot includes potatoes, cauliflower, celery, tiger lily buds, black fungus, and lotus root ($8.99) and a choice of two proteins. We selected lamb ($7.99) and beef tripe ($7.99). 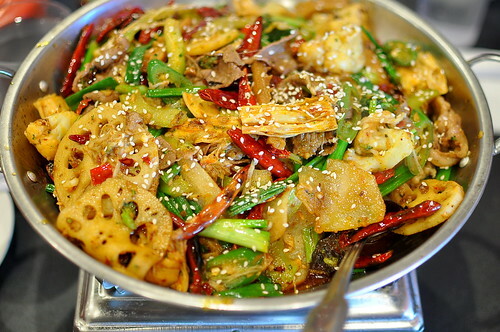 The proteins and vegetables arrived slicked with chili oil and surrounded by dried chilies, making for a thoroughly addictive, burns-so-good kind of taste experience. Two thumbs up from this spice lover. 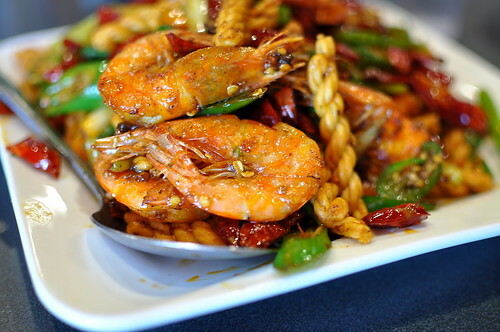 We ordered the Stir-Fried Shrimp with Hot and Spicy ($13.99) on a whim after seeing a poster of the dish on the restaurant’s wall. 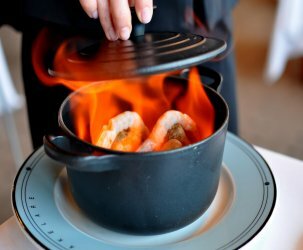 We were especially intrigued by the twisty cracker-looking things that turned out to be textural powerhouses, along with the head-on shrimp. 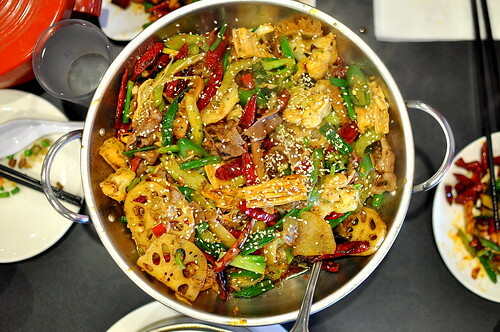 Flavor-wise, the combination of fresh and dried chilies and chili oil made this one awesomely spicy as well. 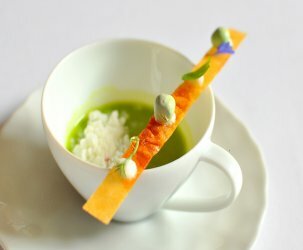 To complement our two sweat-inducing dishes, we ordered three neutral small bites. The Dao Pee ($5.99) consisted of bean curd pouches filled with rice and bits of pork. 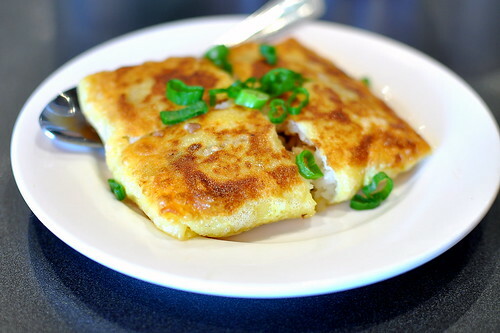 The Wuhan Shao Mai ($5.99) were filled with seasoned sticky rice, mushrooms, pork, and scallions. 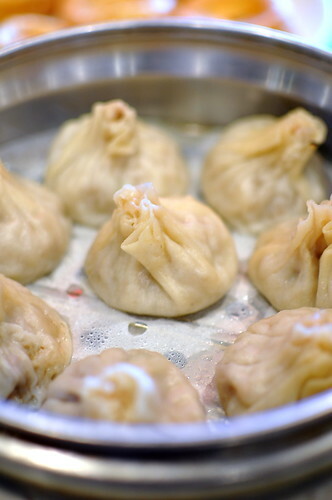 These were very unique as far as dumplings go and quite filling—a must for carbohydrate lovers. 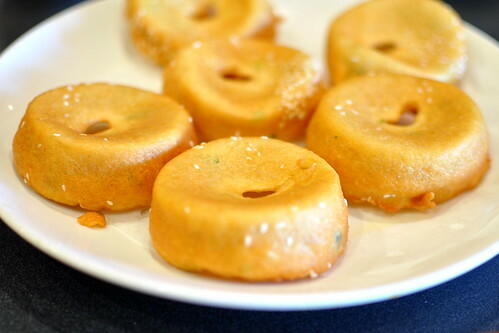 Finally, an order of Mian Wo ($4.99), an airy doughnut with sesame seeds that hit a savory note. And in conclusion, we were very happy with the tasty food at Happy Tasty.